They are two of the top-three teams in the conference standings and they’ve made for some memorable meetings in recent years. 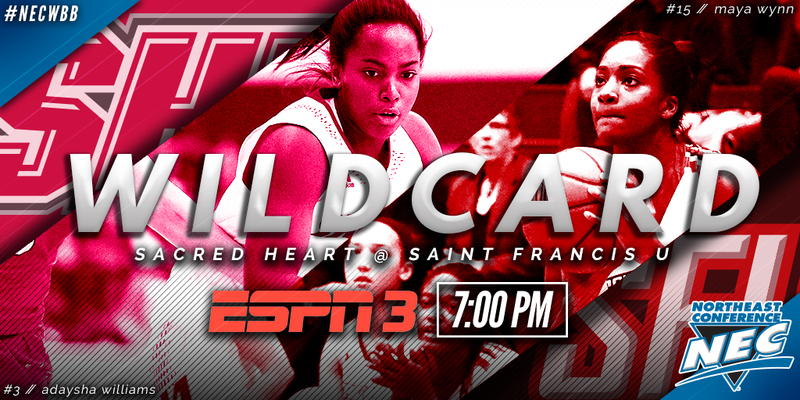 First-place Sacred Heart and third-place Saint Francis U will clash again in Monday night’s NEC regular season finale and ESPN3 will carry the action live. On Wednesday, the Northeast Conference announced that the Pioneers and the Red Flash would occupy the wildcard slot on its Game of the Week schedule. SFU and SHU will tip off in Loretto at 7:00 pm ET on February 27. Craig D’Amico (play-by-play) and Coach Pam Roecker (color) will have the call. Sacred Heart triumphed in the season’s first meeting with SFU, posting a 73-63 win in Fairfield on December 31. SHU sophomore forward Katherine Haines logged a double-double (14 points, 16 rebounds) while reigning NEC Player of the Year Hannah Kimmel scored 18 points. The Pioneers limited the Red Flash to a 6-for-28 sample from downtown. Jessica Mannetti and Joe Haigh have coached against one another in the NEC Tournament in two of the past three years. Mannetti’s Pioneers recorded a 92-71 victory over the Flash in the 2016 NEC semifinal round. In 2014, Haigh’s Red Flash outlasted the Pioneers in a quarterfinal round classic. The 132-124 two-overtime affair ranks as the second-highest scoring game in NCAA Division I women’s history. The Northeast Conference has one more national television window during the regular season and will use it to showcase the league’s best. 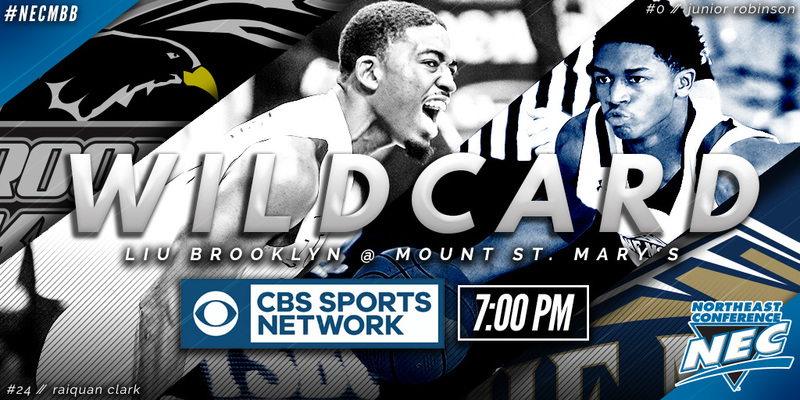 Mount St. Mary’s (13-3) and LIU Brooklyn (11-5), the top-two teams in the conference standings, will clash in Knott Arena on Thursday, February 23 and CBS Sports Network will carry the action live. A win for Mount means that Jamion Christian’s squad will own the No. 1 seed in the upcoming NEC Tournament. If the Blackbirds prevail, however, the Mount will have to wait at least two more days to secure the spot. LIU could play its way into first with two wins coupled with two losses by the Mount. Mount St. Mary’s squeaked out a 67-65 win in the regular season’s first meeting between these two sides on December 29 in Downtown Brooklyn. After LIU forward Nura Zanna tied the game, 65-65, with 00:04 remaining, the Mount’s Chris Wray drained a game-winning layup at the buzzer. Dave Popkin (play-by-play), Coach Joe DeSantis (color) and Paul Dottino (sideline) will have the call from Emmitsburg on Thursday evening. Tipoff is 7:00 pm ET. The month of March is a mere three weeks away and college hoops fans are starting to salivate over what lies ahead. 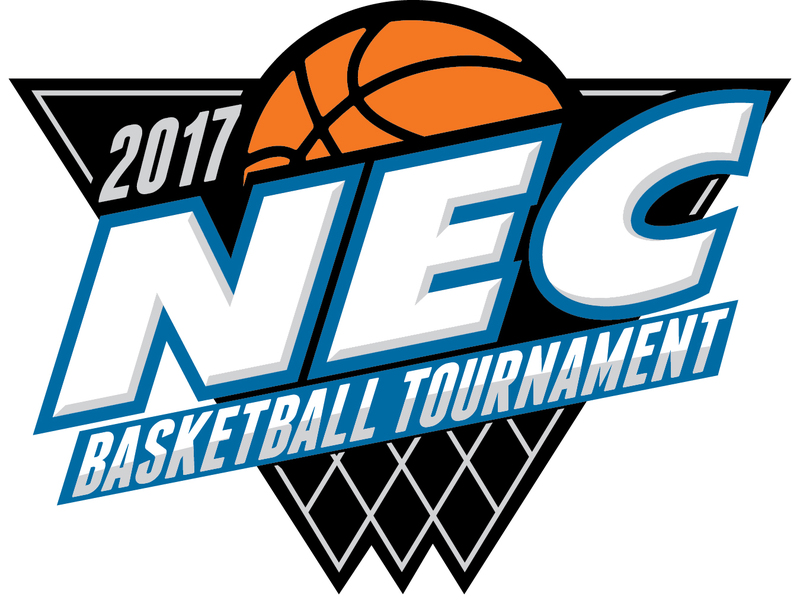 In an attempt to further whet that appetite, the Northeast Conference unveiled the official logo mark of the 2017 NEC Basketball Tournament. The Division I conference’s 36th annual basketball tournament, which rewards its winner with a bid to the Big Dance, will tip off with men’s quarterfinal action on March 1. The women will jump into action on March 5. The Northeast Conference recognized those teams that best competed with dignity and respect this past fall sports season. For the ninth year running, the league handed out a Team Sportsmanship Award in the sports of men’s cross country, women’s cross country, men’s soccer, women’s soccer, football and women’s volleyball. The NEC’s Team Sportsmanship Award winners were chosen through a vote of team captains and coaches from throughout the conference.